It takes a village to raise a child… this African proverb makes a lot of sense to me. Likely because I know it took my village to get me where I am today. I grew up in an environment where we had several social interactions around our house, my village, where I had a chance to frequently interact and learn from other adults, besides my parents. There was my family, there was the extended family, and then some very good friends of our family who guided me and contributed to shape who I am today, and I’m thankful to all of them for playing that role. 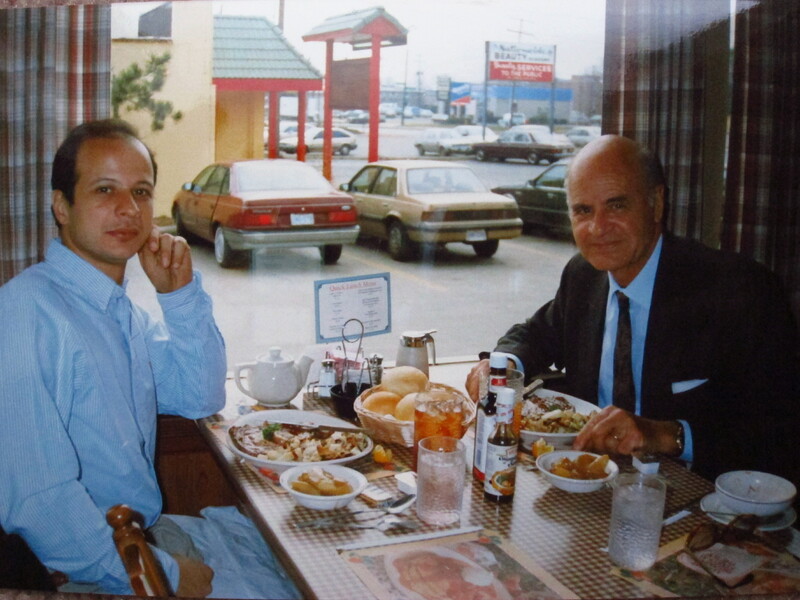 One of them, and prominently so, was Francis, very close friend of my parents who in time became also my friend. I won’t forget when Francis made me a job offer, I was still in college and about to graduate. Not just any kind of job, mind you. He was offering me a good leadership position, something that required trust. Even if it was on a small office of his business, it included international relations. But I wanted to pursue graduate school, so I declined. But I never forgot it, I was very thankful for that offer, to me it meant more than the job offer itself. Francis once came to visit me when I lived in Ohio. He had business trips scheduled to St. Louis (7-Up), Atlanta (Coca-Cola) and New Jersey (IFF). He added Columbus to his travel route. It was sometime in 1992, just before I got a graduate research associate position at the Ohio State University. 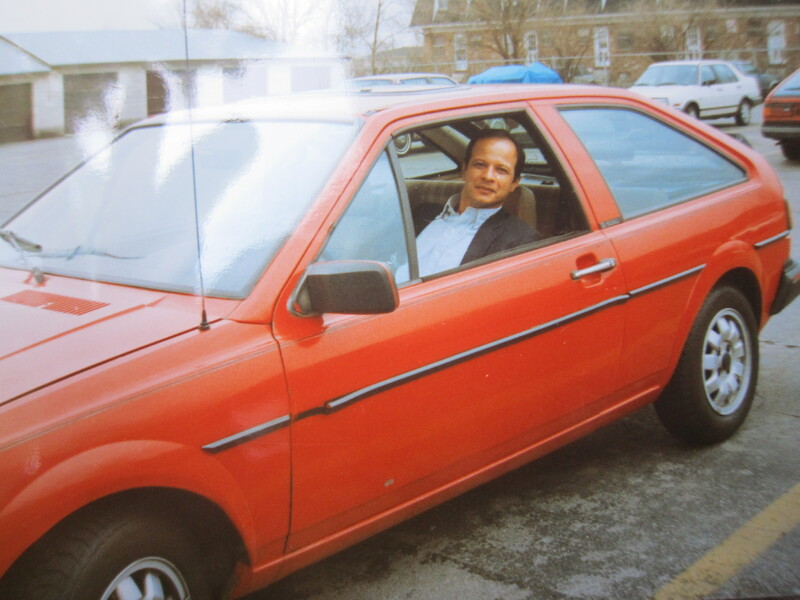 I picked him up at the airport in my already old at that time 1982 VW Scirocco. He never forgot that riding experience, it was a real basket case of a car. The photo below was taken by Francis during that visit, his way to document the car he would never forget. Every now and then he would bring it up, even on very recent conversations. It also happens Scirocco is the name of the dry, hot wind that blows from Africa going north towards Francis’ Sicily. Those were not the best times of my life, a struggling student, trying to figure his way out of the school maze, the many options out there and without a clear vision about where to land. I was glad to have Francis visit me and remind me I had places to go in life. When Italy and Brazil allowed dual citizenship I gathered the required documents and I applied for my Italian citizenship. As soon as I got my Italian passport I let Francis know about it. Francis, a proud Italian, wanted to quiz me on Italian culture: “you want to officially become an Italian?” he said, “then you should first read Dante Aleghieri’s La Divina Commedia and I will quiz you on it”. And I imagined the many other materials he would like me to read and learn. I know well Italy’s presence in the literature, arts, engineering, education, music and so much more. Till today I haven’t read La Divina Commedia, but I haven’t forgotten that I should do it. Instead, I bought a couple of Italian cars (two Alfa Romeos, a 1969 Berlina and a 1987 Milano). 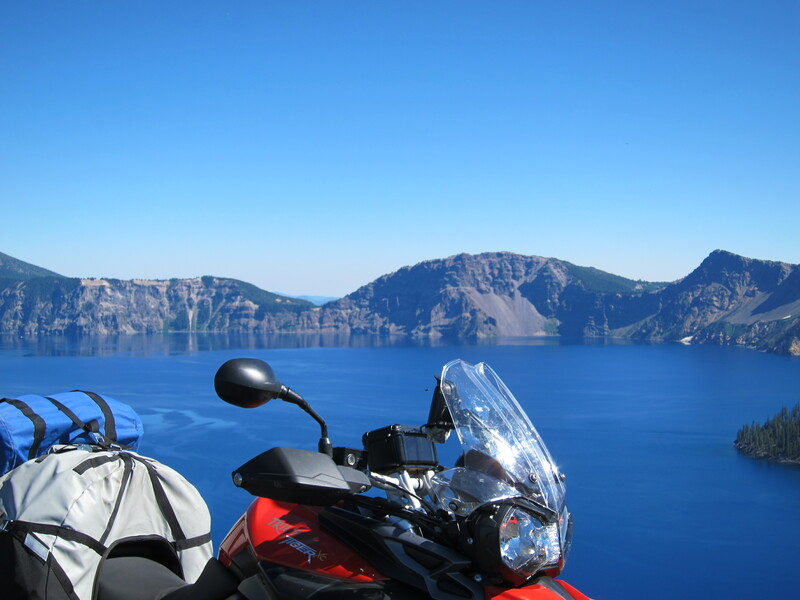 And I never told Francis I was now on my second Ducati, Claudio Domenicali’s Multistrada, that is. Not Dante Aleghieri’s La Divina Commedia, we would all agree, and such comparison should never be made. But Ducati represents Italy well in the motorcycle community. But I understood Francis. 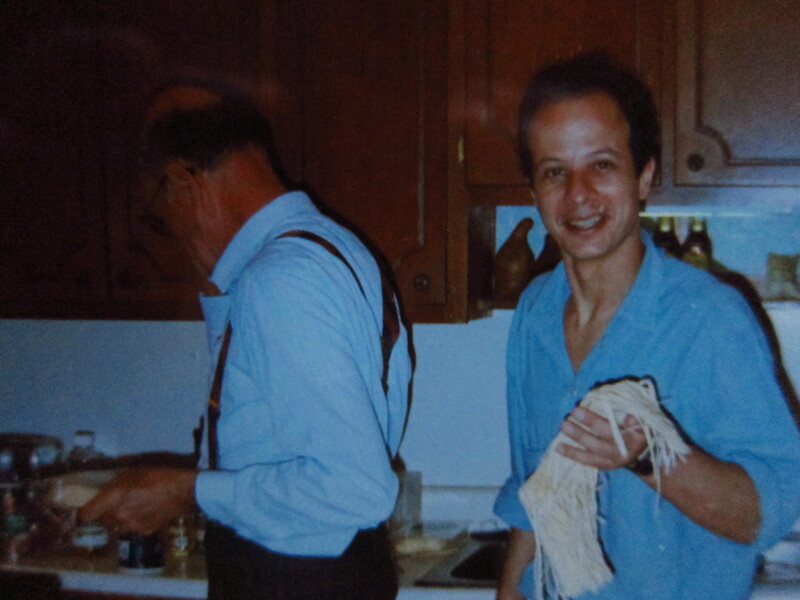 There could be more to the citizenship affair than to simply go to an Italian consulate in Detroit, give them the documents proving I was the son of my father, and walk away with an Italian passport, which in summary was how I did it. Something that Francis and I always joked about with each other was the friendly competition about who lived closest to the bluest body of water in the world. Francis lived in Mortelle, just outside Messina, in Sicily. From his house you could see it, just perhaps a 100 yards from the Mediterranean in the Strait of Messina, this most beautiful blue, perhaps you could call it cobalt blue, or royal blue, or lapis lazuli blue water. It is the most beautiful tone of blue I’ve ever seen. You could see it from Francis’ house. When taking the ferry from Reggio to Messina, you can’t avoid looking down at the water and notice that deep tone of blue. 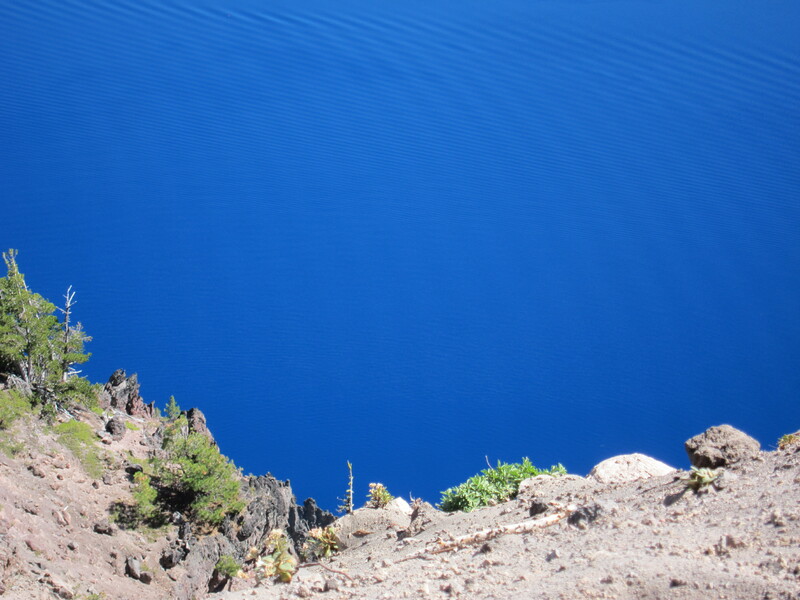 I thought Crater Lake here in Oregon, the deepest lake in the United States, was the closest I’ve ever gotten to matching the Strait of Messina’s blue. And I felt like sending him this picture (below) of my trip there in 2012. I never did send it, and I’m sorry for not giving Francis yet another chance to proudly tell me that his Strait of Messina remained top of the heap in the blue water competition. The last few times I went to Italy I did not organize my route to go to Sicily and visit Francis. And he always reminded me of that. In 2011, last time I was in Italy, I called him from Pisa and promised him a visit the next time I was back in Italy, and he asked me not to wait too long, he was getting old, he said. I had discussed this with Flora, his daughter, and my plans were to visit him this year, sometime in the summer. But then I got the news, Francis was ill, cancer had struck him. Flora and my parents kept me appraised of what was going on. Things were progressing rapidly, I organized my work schedule and found the dates for a trip to Italy this past month. But his disease progressed so fast I had to cancel my plans for a visit. I had a chance to Skype with him one last time in late April, and we had a pleasant and playful conversation. Francis was always on the ready for animated playing, and this call was not different from the many other interactions I had with him. I enjoyed reminding him how the new Pope, Pope Francis, had borrowed his name. Francis once was mistaken for a priest by the native Amazonian in one of his visits to the northwest parts of Brazil, in the Amazon jungle. On this Skype call he reminded me that it had happened in Altamira, Brazil. We joked about the trajectory of the Francis name, from an Altamira fake priest to the highest post in the Catholic Church. Francis’ wife had passed away last year after a long battle with the debilitating Alzheimer disease. After her passing Francis declared to my parents he could now relax and no longer needed to care for himself, his mission was now complete, he indicated. But when I talked to him on this last Skype call, I could see how much he wanted to live, and how much energy his mind still had while struggling with his frail physical condition. Eventually, and quickly he understood the gravity of his condition and his prognosis. Now it has already been more than a month when on a Tuesday morning, Oregon time, I got a call from my mother. Francis had passed away peacefully, with his two daughters on each side of his bed. His son Marco had been there just the weekend before, as well as some of his grandchildren, they were able to say goodbye. Francis is survived by his daughters Gloria and Flora, his son Marco, and four grandchildren, the people whom he loved so much and he proudly told me once how good it was and how pampered he felt when they were all there in Mortelle visiting him. Francis was a great business chief, someone with an objective mind and with great awareness of the many facets that make us human. When he retired from his family business, a few years after a massive heart attack which happened a couple of years after his visit to Columbus in 1992, he turned his energetic and creative mind to the arts. He would walk his Mediterranean’s beloved Mortelle beach, just down a path from his house, and collect all sorts of objects the water deposited on the beach. From strangely shaped wood branches to varied pieces of man-made objects. Il supersite / Survivor, by Francis Misitano. 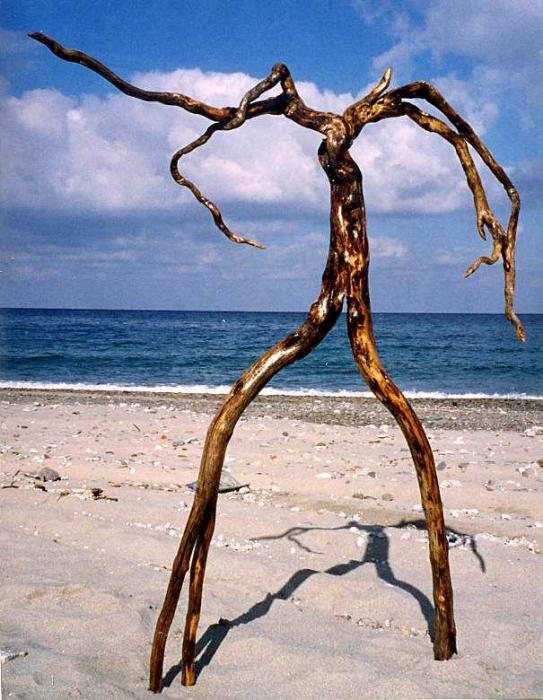 Sculpture, Human figure, Wood, 115x150cm, 2001. This work was created after the Sept. 11 2001 and dedicated to that tragedy and to its survivors. He would carry and drag those things to a studio he arranged in the first floor of his house, his hang out area in the house, and with paint and a collage with other materials he would turn those objects into art. L’occhio sul mondo (di Obama) / The eye on the world (of Obama), by Francis Misitano. 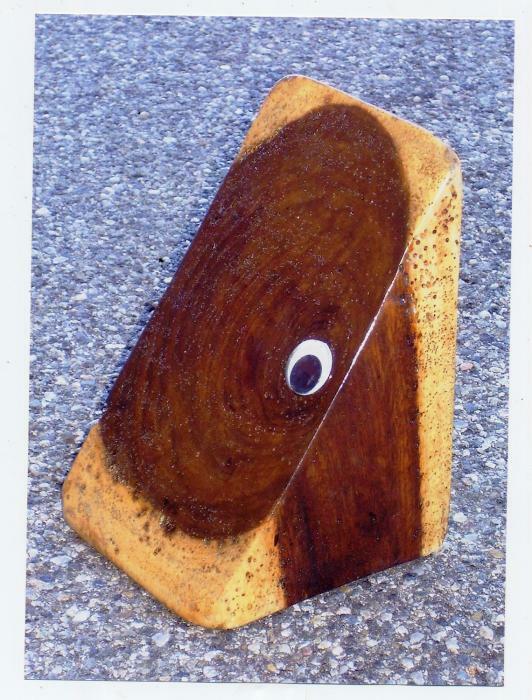 The disparate set of objects, materials, and shapes, they all had something in common: shapes that with minimal intervention from Francis were turned into incredible depth of thought and meaning, while at the same time his additions added an innocent, almost childlike nature to them. This made his art work intriguing and disarming, and more powerful in their message. He made this work for many years and improved upon it all the way to hosting a few art exhibits, winning prizes. Bringing it far beyond a hobby-like affair, it became his second career, third if you count his very short-lived fake priesthood. 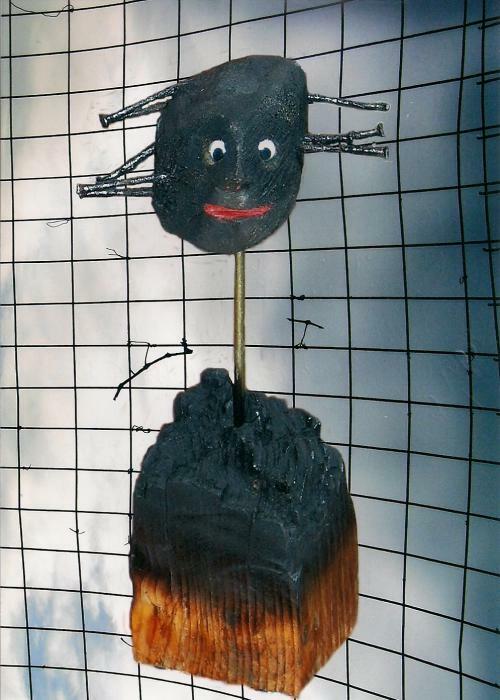 Sculpture, Political / Social, Wood, Metal , 10x32x10cm, 2008. On a note about this work, Francis references Alzheimer’s Disease, which ultimately took Nica, his wife, from him. Goodbye Francis, and thank you for all you gave me and for being one of the elders in my village. Il semino vagabondo / Il passante/ The wondering plant seed, by Francis Misitano. Photography, Still life / Object, Mixed technique, 20x30cm, 2005. 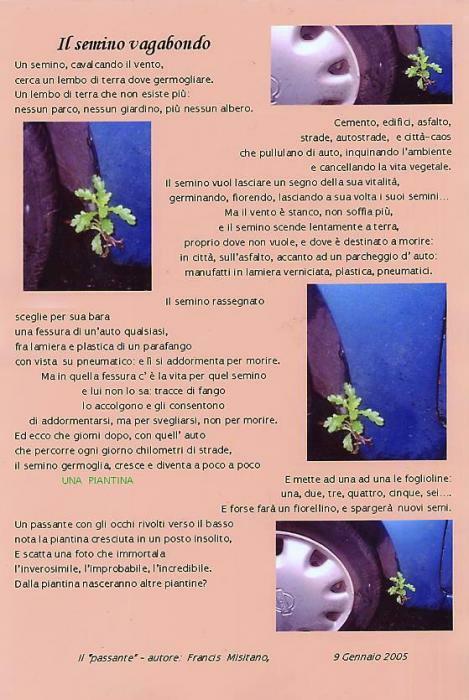 A typical poem/artwork by Francis, with his sense humor on display, telling the story of the seed that found an unexpected location, a car’s fender to grow. It was a great honor to have met you and to have learned from you! And I’m sure I will continue to learn from you as I continue to mature and interpret our many conversations from a different vantage point. 4 Responses to Goodbye Francis! So sorry to hear you didn’t have a chance to visit Francis again. There are often many things we tell ourselves that we must do but we put them off and say to ourselves “next time”, but next time sometimes never comes . . .
Life is fragile and we never know what the future brings, nor can we plan for the perfect moment to do something which fits our schedule. Sometimes we just have to make time . . . Thank you for your kind words Bob. Indeed, life is fragile and we have to always make the best of it. We tend to regret what we didn’t do, not what we did. sweet post, what a nice surprise and stories. Marco, it is really nice hearing from you! I wish I was a better writer to make better justice of Francis’ contributions to mine and others’ lives.